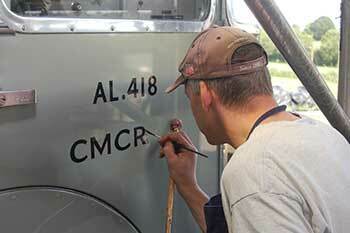 The restoration of CMCR9 'North 3'. 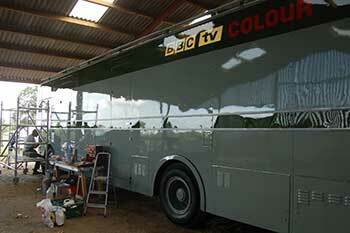 This is the ongoing story of the restoration of 'North 3', an ex-bbc Type 2 Colour mobile control room (OB scanner). After being decommissioned in 1982 it was stored for many years, but after having some work done it was stored in a former aircraft hangar where damp attacked many of the vehicle and electronic components. I wanted to restore an OB vehicle with an interesting history, and after locating North 1, which was just too far gone to be a realistic proposition (see inset), the temptation to take on what looks like a lifetime's work was too great to resist. Getting it back from Devon to Chester. 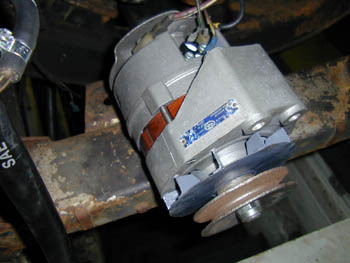 The brakes were seized, the cooling and air brake systems leaked from corroded pipes. It would just about fit on the biggest articulated trailers. 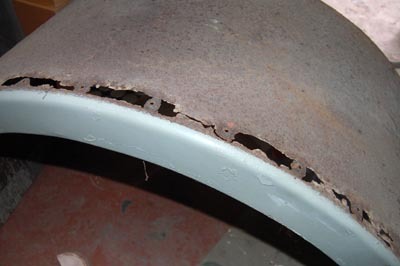 All the usual problems of a long stored vehicle, plus the electronic units containing thousands of components, many of which would now be corroded and useless. The technology is both complex and obsolete, and much of it unfamiliar. 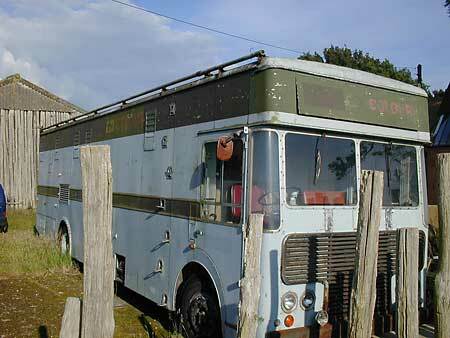 Even assuming I could get it roadworthy, I didn't have an HGV licence. The cost and time involved in repairing it would bring out the question 'Why?' from everyone I would meet, and raise doubts (even to me) about my sanity. The first part of this story concerns the sister vehicle, CMCR7, originally 'North 1'. In 1997 I saw an advert for a Type 2 for sale, and thought it was probably C9. 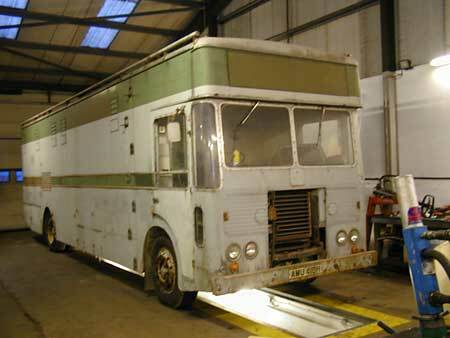 However, it turned out that another Type 2 had survived, virtually intact. I went to see it, hoping to buy it and restore it, but when I saw it was sadly disappointed. It was in a terrible state, having been outside in a yard for more than 20 years, in a salty climate near Rye with windows open. 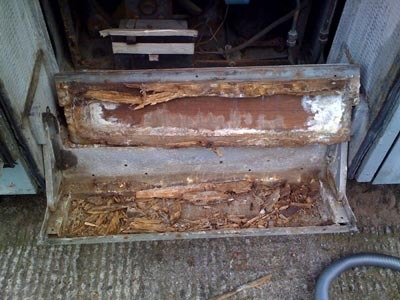 The engine was seized, the inside was corroded, birds and mice having made nests inside the equipment racks! 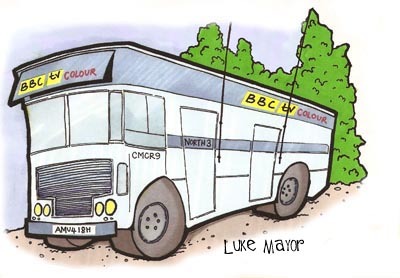 Such a shame, it was absolutely complete, with the original Pye PC80 cameras, the full sound desk, everything just as it left the BBC around 1984. In the end I decided it was an impossible project, but agreed a deal to buy the cameras and anything else I wanted from inside the truck. At the time, although I now knew the whereabouts of North 3, it was not for sale so I ended up selling the cameras and most of the other parts. It was very sad to destroy this piece of history, and much of it did not really seem worth saving. Three trips were made to strip out the equipment- tiring, dirty work, and a 500 mile round trip each time. Screws were rusted solid and hardened rubber covered cables had to be cut through. North 1 where it had been standing for about twenty years. Find out more about the other Type 2 scanners. Now, doesn't this always happen? A few months after stripping North 1, the owner of North 3 contacted me and said he was thinking of selling it. It had been in under-cover storage for about seven years, at an old USAF base in Devon, but before that it had been in the open since the 80s- although for much of the time it had been heated, so it had been preserved to a certain extent. I went down to view it and see what I thought. 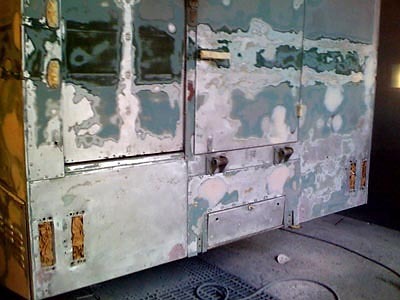 It was a disappointment to see that in some ways it was worse than I expected, as it had got damp and mouldy inside, all the aluminium surfaces were covered with white corrosion and in some places it didn't look that much better than N1. However, I went again with batteries and to my surprise after a few turns on the starter, which I was expecting just to free it and build up oil pressure, she began to kick and after another go with the cold start pressed in she fired up with a mighty roar (most of the exhaust had fallen off) and filled the hangar with eye-watering smoke. Initial joy at starting up was tempered by the discovery that there was no clutch operation, water was leaking everywhere and the brakes were siezed solid. After asking around I found a local (to me) old lorry enthusiast who is a director of a transport company and was very helpful, organising a low loader. I got a mechanic near the airfield to get the brakes free and get the clutch operating, and after having to abort the mission due to snow in early 2009 we were eventually ready. It was a 500 mile round trip, and when we got there, there was a moment of panic when the driver thought it was too long to go on the trailer. However, because of the slope at the back, we decided if reversed on, it would just fit. Well, it did , but only just. The next drama was when on the advice of a local, we took a short cut through a village with a ridiculously steep hill, where the artic was struggling for grip on the road, and even in crawler gear with diff-lock on the wheels were spinning. After causing a major jam, (there was no possibility of reversing), we inched up the hill and got under way again. When we got back, it was decided that I could keep N3 at the haulage company yard for a while, and do some work on her in their workshop. What a good job I accepted their offer! Working on the mechanics of a big old lorry that has not really been on the road for over 20 years is no easy task, but things we have achieved so far would have been impossible without the facilities of a proper workshop designed for heavy transport, and the expertise of Mark who is an experienced restorer (some of his projects make this one look like a doddle in comparison!). I know that if I had just got it into a storage shed, every little job would have been so daunting that I might well have given up, or just kept putting off doing any of the vital jobs. 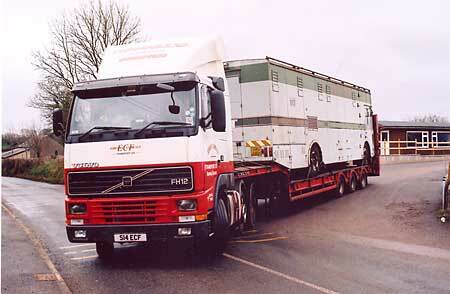 Special thanks to Edwin C. Farrall Haulage Ltd of Tarvin, Chester. 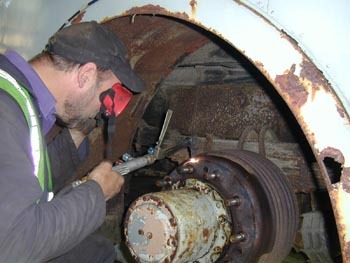 Work starts on making the vehicle roadworthy in the summer of 2009. By July 2009 she had been steam cleaned all over, the brake drums removed, brakes unseized and checked (a terrible job, just getting the drums off), new lamps sourced and fitted, wipers, indicators and other electrics fixed, and engine oil and filters changed. 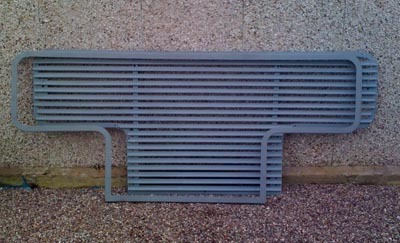 The radiator was removed and found to be blocked solid, except where it was leaking. A nearby firm of specialists have rebuilt it to as-new condition, new hoses were bought and a problem with a leaking water pump and alloy engine plate has been sorted out with help from other lorry enthusiasts. Corroded air brake pipes have been removed and new ones made. The intention was to get the vehicle roadworthy first before making any start on the electronics. Of course as problems were sorted out, new ones appeared- typical of any old vehicle that has been stored for a long time. 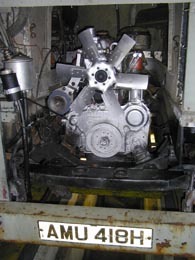 By October 2009 the water system had been reassembled, the engine run and the brakes operating. The clutch master and slave cylinders had to be stripped and overhauled, more pipes replaced and electrical problems sorted out. New headlamp units were fitted, along with missing lamps and new wiperblades and arms. Several test runs were done round Farralls big yard, ensuring that there were no water leaks and she was not overheating. There is a thermostatic radiator blind fitted, but the shutters would not open. I thought this indicated a faulty thermostat, which controls air pressure to a ram that closes the shutters. 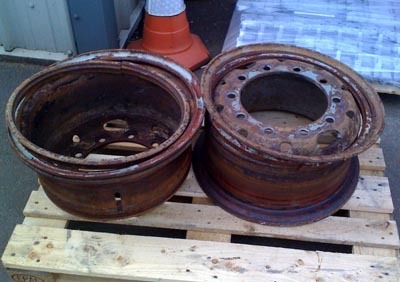 Most components were not badly worn, but everything was seized or rusted with so many years of disuse and standing. The handbrake linkage was jammed and had to be stripped down, all the brake operating cams were very tight and a lot of time was spent on freeing parts. The silencer seemed OK, but after unning for some time it was apparent that the baffles were loose inside. The ex-staff BBC magazine. click to read in full. Eventually by the end of October 2009 we ventured out, with mixed results. The good news was that there was no evidence of overheating, and when the engine got warm the radiator shutters suddenly opened. The brakes were not too bad (we checked them on the rolling road, and they were reasonably efficient.) However, although she pulled OK on the flat, any sign of a hill and the engine just slowed down, requiring lower and lower gears until we were almost at walking pace. Although I believe they were never up to much on hills (and of course this is not an unladen lorry- she weighed off at nearly 14 tons), this level of performance did not seem right. Also, a regular thumping noise indicated that the tyres had flat spots, due to standing for so many years. So, next job was to look for engine problems and source some good tyres. By now it was winter and I was no longer able to keep C9 in the workshop, she would have to be moved to outdoor storage. I used several tubes of silicon sealer to make a temporary job of preventing water getting in to the aircon chamber over the cab, which had been letting in water if it rained. I also tried to seal any suspect areas of the roof, which looked as though water had got in. From Christmas until March it was too cold and I was too busy to do any more work, but I had already removed the silencer and some suspect brake pipes to use as patterns to get new ones made. The silencer had looked OK, and I had just fitted a new pipe onto the outlet, but on a second test run a rattling started and it was evident that the baffles were loose. On inspection it was not as good aas I thought, so needed replacement. New ones are non existent, so it was taken to JP Exhausts of Macclesfield, who said they could make a new one to the pattern. I had been unable to remove the pipe from the manifold, so had sawed it off and needed the new box to have an extended inlet, swaged out to sleeve the original. I decided that the injectors could be a possible cause of the power loss, and was thinking of removing them to have them tested when I saw an advert in a classic commercial magazine for "Set of 6 new injectors for Leyland 400/401- £50 including postage". I sent off a cheque and they arrived, looking nice and shiny in plastic bags. 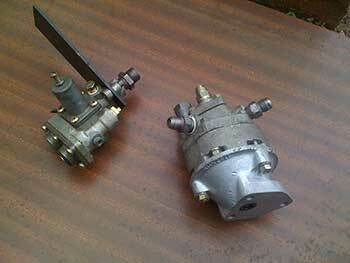 However, someone said that I should take them along to a diesel engineers to have them checked, which I did. Only two worked. The tester thought that they had been reconditioned, and a long time ago, so probably the oil used to test them had congealed. A few days (and a bill for £94) later, they were ready. 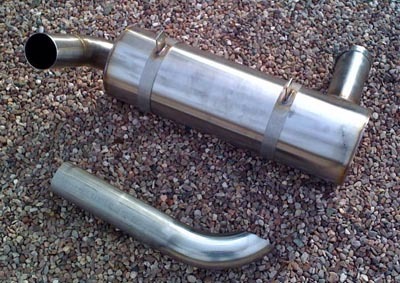 So was the shiny new stainless steel exhaust box, a real credit to JP Exhausts, and not an exhorbitant price either. I went for the stainless option as nothing rots a steel exhaust more than occasional usage. The next job was to remove the front wheels and have the tyres removed, the rims then being taken for sandblasting and painting. Then new tyres were ordered. This job is starting to get expensive! As an incentive to get a move on, I was urged to set a deadline and work to it- in this case, to book her in for a local steam and vintage rally, at Kelsall. It seemed a fair way off (a couple of months), so it seemed like there should not be too much to do to get her to the show in a 'Work in Progress' mode. (Always a mistake to think that!) By this time I was getting much able assistance and support from one of the Ex- BBC Manchester crew, sound man Jerry Clegg. He was willing to come over and help with cleaning and painting, which began to transform C9. She was beginning to look ship-shape rather than like a sunken ship dredged up from the depth. Of course it is not that simple. years of storage in damp conditions had done more damage than I thought. The XLR plugs were so corroded into the sockets that they broke rather than come out, and the sockets were equally corroded. 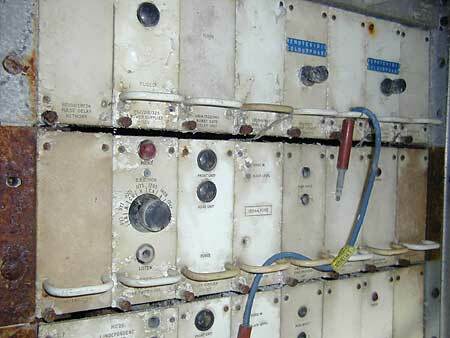 The amplifiers had white powder leaking from the electrolytics, and the switches stuck down when pressed. Hours of time was spent on the bench, and at present the job is only half done. The capstan motor runs and the amplifiers now work, but the spool motors are dead. I need to trace through the forest of relays to find the cause. If this is typical, there is going to be a lot of work to do on the electronics. Even the basic electrical system was now giving trouble, tripping the contact breaker as soon as power was connected. Eventually smoke was spotted (and smelt) coming from one of the automatic voltage regulators. Another problem. I got two of the wheels back and had the tyres fitted, then swapped them for two others for the same treatment, saving the best original ones for the inner rear. One thing though - would they be ready in time for Kelsall? Even without any further work getting done, she could get there and be shown as she is- but not on three wheels! Two days before the show the wheels were not even sandblasted, and it was clear it would be impossible to get them painted in time. Short of cancelling the appearance, which had already been notified to ex-BBC staff and readers of Airwaves, the only solution was to go over to Winsford, collect one still-rusty rim, take it to Queensferry to get the new tyre fitted and fit it and one of the dubious old tyres to get us to the show. This was done, and after a final tidy up and fitting L plates (no, still not passed my Class 2) we had a quick test run to Farrall's and then to the show ground. Another historic occasion- the first time I had driven her on the road. The overhauled injectors had improved the running but she still lost the will to proceed at the slightest mention of a hill. On the flat she would make 40 MPH, but a gentle incline had me practising my double declutching as we dropped gears with little apparent effect. Others were heading for the show, and I even got to overtake something, a grey Fergie! The day of the show turned out to be one of the warmest of the year, and there was a good turn out of vehicles and visitors. 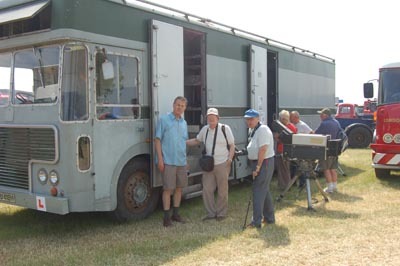 A number of former BBC staff turned up to see North 3 for the first time for 28 years, and we were kept busy all day entertaining visitors of all ages. Although we had no equipment working, atmosphere was provided by a cassette player with a tape of Barney Colehan' s talkback, rehearsing 'The Good Old Days' - one of the shows that N3 had been involved in. 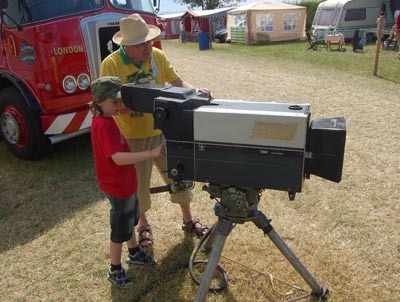 One of the EMI cameras was set up outside and some archive photos and information put up for visitors to peruse. It was a good day and has given us some ideas for future shows. 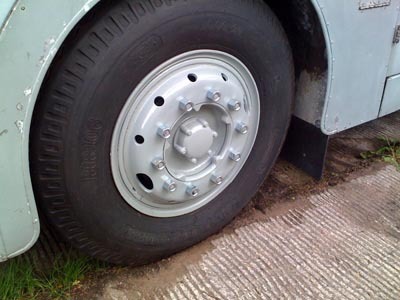 Unfortunately the two newly painted wheels were on the off-side and our position showed off the other side, with the rusty old rims, but the superbly re-painted grille set off the front view- another just-in-time job, fitted the day before. Flushed with the sucess of Kelsall, we entered for the Astle Park Steam and Vintage Rally, near Chelford. This was over the weekend of the 14th and 15th August- see bottom of the page for details. Continuing the massive clean up of the interior. Buckets of dirty water produced from cleaning every small area. Both access steps, the lowest one which is made of wood and aluminium, was found to be completely rotten. One has been repaired, the other was then found to be worse- fungus was spreading over the underside and the supports had disintegrated. Some equipment has been taken out and taken to the workshop for repair. The Studer A62 has been mentioned- bad news there. Both spool motors are u/s. I have sourced a B62, almost identical in appearance, and have been getting that ready to fit instead. I already have a pile of spare monitors, both the Pye 11" mono (N3 uses 15 of them) and the Prowest 19" colour monitors. Some came with the truck, others are ex-CMCR7. 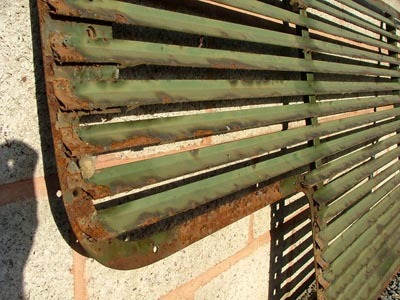 All are rusty and in poor condition, having been stored for years in damp sheds. I have been working through them, some being hopeless, others have attempted to work but most have numerous faults. The Pye monitors to be fair are incredible, some of the ones from C7 which look like something dredged up out of the Titanic more or less worked, and only one so far has been designated as spares. Changing a few capacitors and one or two transistors has brought several to life so far, and the plan is to clean them up and exchange them one by one. The geometry on them is excellent and they give lovely sharp pictures, they really are a credit to Pye that they still work after 40 years including in some cases virtually lying in a field for 25 of them. The same cannot really be said of the Prowests, which are a struggle, but of course they are much more complex. Having said that, a couple have been resuscitated with dozens of new capacitors and although they still look awful they are producing pictures. After the success of the Kelsall rally, we decided to enter the Astle Park rally in August. This was a two day event and would entail the longest road run yet. We drove over on the Friday in torrential rain, hoping the weekend would not be a wash-out. However, apart from a couple of showers, both days proved fine and North 3 was a great attraction. By the end of each day we were hoarse with providing information to the dozens of people of all ages who enjoyed looking round. 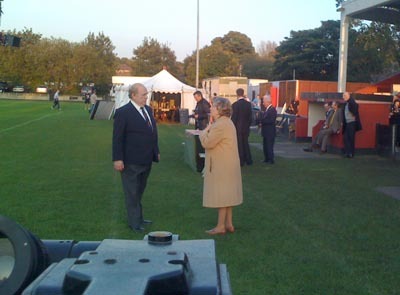 At Kelsall we used a small 300W generator to power the lights, but for Astle Park we went a stage further, with one of the colour monitors set up to show either a DVD or the output of an Ikegami HL79 camera set up outside. Not quite of the period, but practical to run from a battery- and not as heavy to lug around as a 2001! 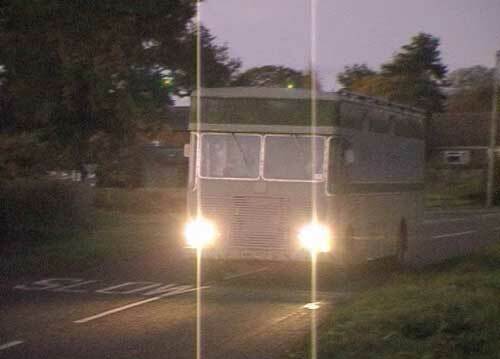 However, the generator struggled to power the lights and monitor, and the pictures were pretty awful on the Saturday. However, on the Sunday another exhibitor very kindly lent us a 2 Kw genny which performed superbly all day, giveng a very creditable picture on the monitor and running the sound monitor amplifier in the PCR. Not much to have working, but it was a start. Work carried on throughout August, mainly cleaning and sorting out small mechanical problems, and we decided to make another appearance at the Malpas Vintage Machinery show on the 11th and 12th September. This would be the last for 2010. I decided that if we could not find under-cover storage, the best thing would be to store her at the back of the shop, if it was possible to manoeuvre her down the narrow entrance gap. One Sunday we drove over and tried. The only way was to reverse in, and the passageway is only a couple of feet wider than the vehicle. By getting the front end right into the shrubs outside it was just possible, but overhanging branches scraped the sides. Arrangements were made to cut back all the vegetation, which needed doing anyway, and the next time she came in fairly easily. Now the power can be left on with a dehumidifier and heater running all the time to help dry out the equipment. Give me a 2-shot on 1 please! examines the EMI 2001. Anyone got the missing badges? With new tyres, tubes, even wheelnuts. the access steps to rot away, and fungus has taken hold. This was all removed , and new steps had to be made. Some progress with the Prowest colour monitors. Signs of life in the production gallery. We have started to work on the Vision Mixer, with assistance from an ex-BBC Vision Engineer with first hand knowledge of North 3- it was his first engineering position at BBC Manchester. With his help we have already made progress- several of the buttons were stuck down or were inoperative, and the rack of equipment has suffered from the usual damp and aging problems. He started by rebuilding the power supplies, and we went through each channel checking the relay and button operation, removing some for cleaning and replacing a couple of faulty units with spares from C7. The photo shows the first stage, getting some of the buttons working. 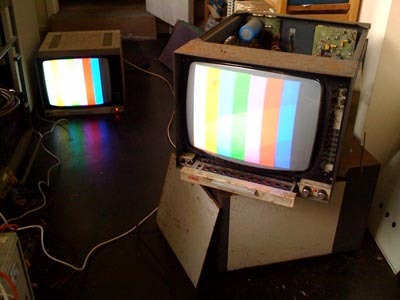 At the same time I had been refitting overhauled monitors and two are shown being tested. See pictures from all the shows. Work has carried on at a slow pace, little being done over the winter, but we have made some progress on the vision systems. 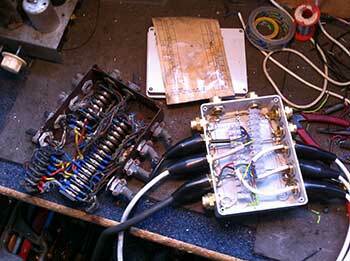 Largely thanks to the help of engineer Steve Jones, we have got pictures through the vision mixer (although they look a bit worse for wear, and will until we can sort out the Processing Amps) and have sorted out the pulse distribution amplifiers. There are now also vision DAs working, almost all needed repairs- but signals can now be routed via the correct positions on the jackfields instead of the lash-up we started with. 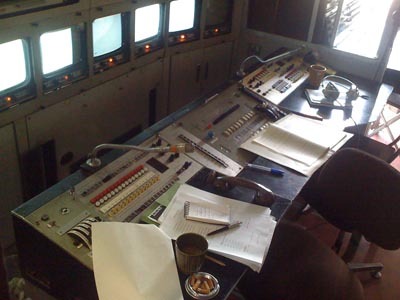 At May 2011, the following other units had beeneither replaced or overhauled: Cam 1 and 2 waveform monitors (ex. 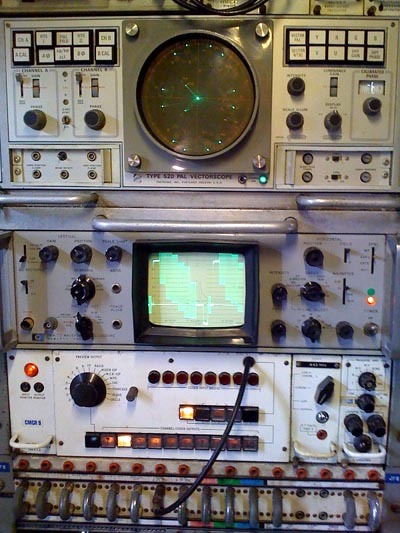 C7), Vision Apparatus room Master waveform monitor and selector panel (original), PLUGE generator (original), Grille generator (replacement found at BVWS swapmeet and restored as it was better than the original). 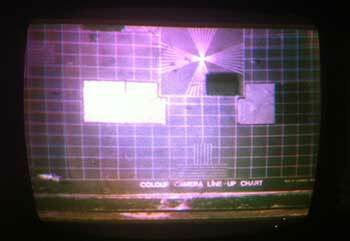 Another Tektronix Vectorscope of the correct type has been refitted- the picture shows it in operation. The signal looks pretty good, having gone through a few 40 year old DAs and switching relays. All the Pye monitors in Vision Control and all the lower row in Production have been checked or overhauled, but we still only have one Prowest working properly. 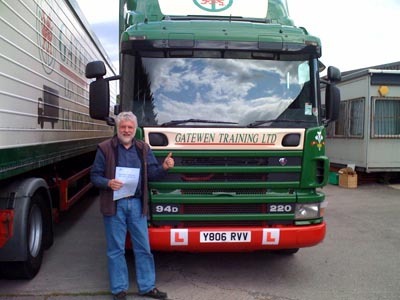 After three attempts, over several years, I finally passed my Class 'C' LGV test (what used to be called Class 2 HGV.) I can now drive North 3 without a 'minder'. Many thanks to Andy at Gatewen Training in Wrexham. During September we were contacted by a film company who wanted to use North 3 in a scene for a film based on the life of football manager Matt Busby. 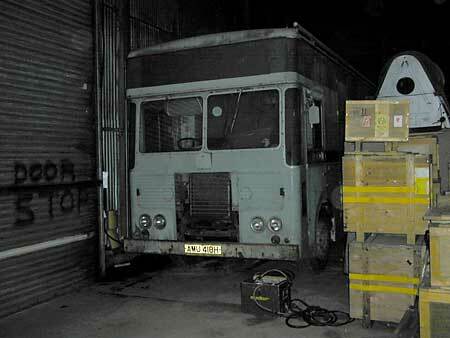 The script required scenes in and around the truck, which was to be seen as part of an OB from a football match set around 1984. 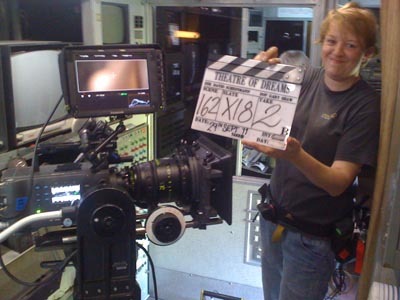 The director also wanted to use some video footage from a 'period' camera, so I was enrolled onto the crew as 'specialist camera operator', but as it would form part of the action, I was to be in costume. Two days of shooting were involved, at a local football ground in Salford, only one of the days requiring North 3. I was not happy about driving there, as there was still a worrying knock from the engine, and we had to be there at an unearthly hour in the morning. We arranged for a low-loader to take the truck over and bring her back the next day, an expensive way to reduce the chances of disaster. Even so, it was not free from problems- The driver thought we were at Salford Quays and went there, and I forgot to take the keys, so when the truck arrived I had to 'hot-wire' her on the trailer to get her going! Following all this excitement, it looked like time to do more work on the electronics and get ready for the big job next year- the respray. But suddenly, there was another event on the horizon- with only a couple of weeks to get ready. One of the goals in the restoration had been to get North 3 ready in the hope of getting the BBC to use her as part of the final programmes from New Broadcasting House at Oxford Road, the home of BBC Manchester, and North 3's former base. The studios were opened in 1975, and have been home to many network productions over the years including Red Dwarf, The Oxford Road Show, Mastermind and Life On Mars. 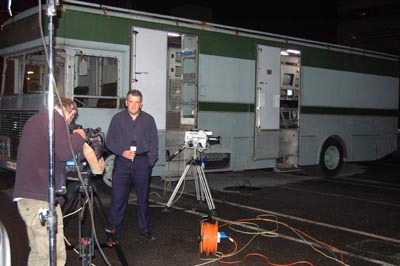 In 2011 the studio complex was sold for redevelopment, the last production to be aired from Studio B being the North-West news programme North West Tonight. We were contacted by the production team a couple of weeks before the final programme and asked if North 3 could be brought to Oxford Road for the last programme. There was no money to pay for a low-loader this time, so if I was to accept, I would have to drive N3 to Manchester, probably the longest journey yet and the first time on the motorway. The engine was still misfiring and knocking. Well, I had said I wanted to do it, so I couldn't back out now. The week before I decided it was worth having a look at the injector pump, as it had been suggested that one of the adjustments could have moved and be causing one cylinder to be receiving fuel all the time or not at all. In fact this was found to be the case, but having reset it, the engine would now race uncontrollably- not what I wanted at all. A further afternoon was spent on it, and eventually the engine was running smoothly, a test run showing that there was a little more power- no bad thing. Monitors were hastily put back in and as much working equipment as possible prepared for the big day. We arranged to drive over in the morning on the 25th November, set up in the yard and then leave her there to collect the following day. She would be parked outside the former Scanner Hall, which had been offices since the OB base closed some years ago, but where the scanners including N3 had been parked and serviced. We took the trusty Ikegami HL79 to give a picture on the monitors, as we did not know if they intended to record the item in the afternoon or do it live- in the dark. It turned out that they were going to do it live, so it was not possible to get a picture from the HL79- (it shows how things have changed, the modern camera getting a good image using one 500w soft light.) In the days when N3 was in service, it would have taken a couple of 5Ks at least to get a decent picture. I had hoped we might have been able to give them a picture from N3s output, but typical of news programmes, there was virtually no set up time or rehearsal. The shots inside the truck would only have fleeting glimpses of the monitors, so we made do with test signals and DVD playback. I suddenly discovered I was to do a live interview with presenter Dave Guest, so that added to the tension of worrying that the monitors might pack up or something trip the power. However, there was no time to sit around getting stage fright- we were taken on tours of various stores in the depths of the building, hoping to find any relics from the days of North 3s youth. Needless to say, we went back the next day a bit heavier than when we arrived, and had to come back with the van to collect more 'souvenirs', which would otherwise have gone in the skips or been left behind to be buried in the rubble. The programme went off well, and it was very satisfying to know that we had taken part in this historic occasion, the last programme to come from 'New' Broadcasting House. A fitting end to an exciting year for the project. Now to prepare for the next step- the respray. Action! Filming inside North 3 at salford F.C. programme to come from the oxford road studios. 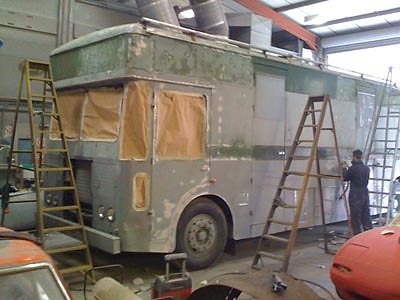 Early in 2012 we took North 3 down to a commercial paint shop near Shrewsbury, for major body work and re-painting. We removed as much as possible of the trim, lights etc. on arrival, but a lot more was to come off later. The bodyshop removed the window frames from the cab, the remaining clips and fittings from the body, and also the rear mudguards, which were extensively corroded. 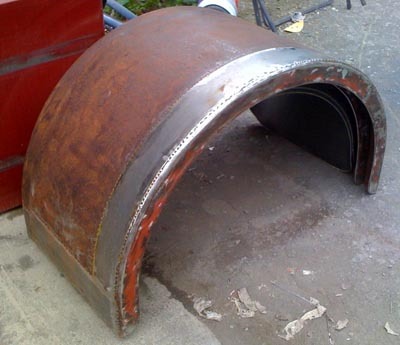 The mudguards were taken to a specialist firm who welded in new sections, complete with wired edges. The rear lamps were rotten, but luckily a friend spotted a pair of indicator lamps at an autojumble- the stop-tail units had to be repaired, which was done by another specialist. The windscreens were removed, as the nearside was cracked- but the other one was delaminating, so both glasses were replaced. 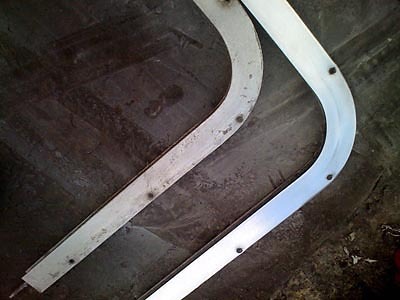 This entailed stripping down the alloy frames, cleaning them up and preparing them for the new safety glass which had to be cut to order, and fit properly. While they were dismantled, I decided to sand down the frames and repolish them- and of course this meant the door window frames and other cab glazing frames had to be done as well. This took hours of work sanding and polishing. The original screws had rusted and marked the frames, so to avoid this happening again, they are all being replaced with stainless steel. The sliding door windows had let in water, as the running channels were rotted and missing. To replace them would entail removing the whole frame assembly and splitting it, but this needed doping anyway as one of the windows was not original and did not fit properly. A new one was made to special order in toughened glass, with holes drilled for the handle- the job may as well be right. New channel seals were found from a specialist supplier.The side strips were also removed, cleaned up and the plastic insert replaced- this is still obtainable. At the paint shop, the bumpers removed and the panels rubbed down, many to the bare metal, every little dent being marked and filled. Preparation is the key to a proper paint job, and this is what took the time- rather longer than we expected, but well worth the wait. Unfortunately we had to cancel appearances at the Kelsall Steam Rally and the Wilmslow Show, but this was not the time to try and rush things. The paint job was completed in time for the Astle Park rally, and we were able to get the signwriting completed before the Onslow Park rally in August. I first went to several firms doing vinyl graphics, but eventually decided that the best way was to have the signwriting done in the traditional way, as it had been done originally. An expert signwriter, David Kynaston, was given all the information we had from old photographs and measurements taken from the original lettering, some of which could still be seen under layers of paint. The next event was the Salford University Science Fair, and after that work continued to recondition the brake foot valve and unloader valve, which gave trouble on the Salford trip. We removed the parts and took them to Dave Tromans, air brake specialists in the midlands, who did a great job on them and they were returned looking as new and fully tested. We refitted them and all was well in time for the Cheshire Run in 2013. In the spring work continued to improve the vision system, and also to get the sound desk working reliably. This continued between shows all year, and by September the sound desk was working on about three-quarters of it's channels. There were still a number of faults to resolve but this was good progress. Towards the end of 2013 work started on two of the original cameras. Steve Jones started on one of the Pye PC80s, and I started on the first EMI 2001. The CCUs for the 2001 were already partly installed in the VCR, but were not viable to run- there are several differences between them and the original PC80s. For a start, the interconnecting cables from the CCU to PSU were missing. I had some of these, so not a big problem, except they were from a studio so were too long. The power cable was not hard to shorten, but the multi-way is a beast, and the connectors would not come apart anyway so the extra length had to be stowed behind the racks. If anyone with a 2001 would like to swap two short cables for long ones, I'll be glad to oblige. The PC80 only needs mixed syncs and mixed blanking, but the 2001 needs line and field drives as well. These are of course not present on the Pye camera vehicles, but fortunately the outputs are available at the PDAs so it was not too hard to run extra cables in the ducts. With everything connected, including the waveform monitor, it was time to switch on and check the voltages at the PSU meter. Some are available before the head is connected, but there is a safety interlock which needs to see the 6.3V heater supply at the head before the HV supplies will go on, so you don't get a cable end with 700v on it flailing about on a muddy race course. The first check seemed fine, the CCU and GP supplies showed OK. I connected a length of G101 to the head, and fired up. Fizz, BANG! Bits of foil all over the floor, and lots of smoke. A capacitor in the HV supply had blown up, and another was too hot to touch so they were replaced and the mess cleaned up. The second time, no pyrotechnics, and after a while some vague waveforms showed on the monitor. Test signals seemed to be viable, after a couple of false starts and one or two faults found and attended to. Eventually, I switched the beams on- would there be any output from the tubes? Yes! 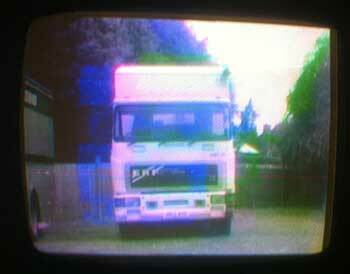 The viewfinder was not working, and the lens controls only occasionally twitched, the zoom and focus were siezed. The blue image was way off to one side and the controls had no effect, and of course the registration was way out- unless you wanted to represent an LSD trip in a 70s drama, it was not a gret picture, but after tweaking the lens by hand, a recognisable picture was on the monitor after at least twenty odd years. Over coming weeks it was improved, but several times a fresh switch on brought more faults. It was tempting to keep board-swapping with the other cameras, and plenty of this was done, but where possible I tried to keep to the original boards and repair the faults. As of April 2014 it has been gradually improved but it has been a two steps forward, one back scenario. There is an inevitable 'bathtub curve' as old equipment is recommissioned, but so far the reputation for reliability that these superb cameras had in service has held up. The PC80 has shown steady progress, but as it was in a much worse state than any of the 2001s after over 20 years in a damp environment, it is a slow process, but it is getting there. As yet, nothing impossibleto fix has come to light. Just as well, as we only have two channels and very little in the way of spares. It is also a much rarer camera, and we do not know of another working example. Another problem which came to light in 2013 was a very mundane one, but proved troublesome. The steps for the sound room door are stowed in a locker underneath the door. At Wilmslow we could not get the steps back in, and on trying to get them out, found they were stuck. No amount of pulling or pushing could free them, and we ended up driving back with a few inches of the ladder sticking out of the flap. A few days later we tried to free the steps using tools, but it proved impossible, and more drastic measures were called for. After hours of drilling out rivets, cutting bolt heads off and generally strugging underneath the truck, we removed the whole aluminium box behind the flapand even had to open it up by drilling out dozens of rivets along the edges. The snag only became apparent at the last stage- the stainless steel 'shoes' on the ladder had sprund slightly, acting as a ratchet against the rivet heads inside the box. There was also a lot of rubbish at the bottom of the box, and when emptied it yielded an intresting find- a copy of 'The Stage& Television Today' from 1971. 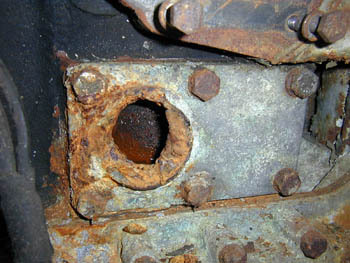 Parts of the box had suffered from bad electrolytic corrosion, and the alloy had turned to powder. We removed it for head scratching and ultimate repair, and carried on with the Salford trip just stowing the ladder in Racks, where it was a nuisance to say the least. The fact that the box took up so much space in the shop storage area was an incentive to do the job, but the thought of all the lying underneath in the freezing cold overcame the will to do it until April 2014. Thanks to Martin, Peter and Eric and a whole array of tools including an MIG welder, compressor, rivet gun, grinders and the like, a day was taken up in repairing and refitting the steps and storage box. The potentially troublesome rivets were replaced by 50 stainless steel nuts and bolts. Absolutely no visible improvement whatsoever, but it has been done. Another very annoying, difficult and invisible job was discovered when suddenly some units in the vision racks failed to work, and the source was discovered to be that a mains supply had gone. Investigation revealed that one of the feeds, although OK at the distribution panel, was not present at the connectors. Evidence was found that this had happened before, another outlet having been bypassed and patched from another feed. It had to be something to do with a junction box, positioned inaccessibly beneath the rack bays. Eventually I had to bite the bullet and remove two of the sub-rack crates, with all the attendant problems of their wiring. The junction box was in the cable tray, crammed with rock-solid old cabling, and obviously the last resting place of water that had over some years been trickling down through the racks from the roof vents, possibly the worst design feature of the Type 2, and cause of many problems. (Not just now- I believe it was a problem even when they were in service.) The junction box had partly disintegrated into rust flakes, the rubber cables inside had lost most of their insulation and one had already shorted at some time in the past- it had been cut off and taped up. It was a real safety hazard, bare corroded mains cables, in a box of damp rust flakes, under a nest of rubber cables- with a fan to draw the air through! It had to come out, and presented a thankless task, of identifying the dozen outlets, un-knitting them from the spaghetti behind the racks, making up a new jumction box and re-wiring it, down a hole under the racks where I could not really see and even less reach, without climbing into the two foot cube space. It has meant that the mains wiring now more closely resembles the diagrams, as against the mess that had resulted from previous work-arounds, and a nasty hazard eliminated. Again, nothing visible, or working any better. Since then we have been working continuously to restore more equipment, including two of the original Pye PC80 cameras from North 1 which we have re-installed in North 3 completely as original. This entailed removing two of the ex-LO4 rack bays from Vision and refitting the original bays as the brackets are different from the EMI unit. 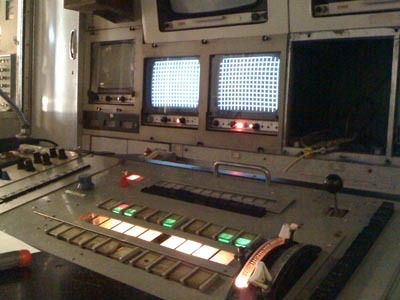 The original cabling has been refitted, the cameras and CCUs extensively overhauled by ex -BBC vision engineer Steve Jones who worked on these cameras operationally. All information and images on this site copyright by On The Air Ltd. 2008, and may not be reproduced without permission. Images on this page may have copyright to other organisations or individuals.